It was delightful to read your appreciation for one of my favorite unsung Westerns, Three Godfathers (1936) in your Brennan biography. It was especially interesting since you included so much about the forgotten (but influential) actor-director Richard Boleslawski, as well as the excellent, gritty performances by the three leads, Chester Morris and Lewis Stone--with Walter Brennan as the illiterate, good-hearted thief who acts as a bridge between the two. You write that Brennan never considered himself a student of Stanislavski (or any other acting teacher), but he could embody a character in such a visceral way! Have you found that many people are aware of the quality of this version of the Peter B. Kyne story? What movies featuring Brennan do you think have been overlooked? Congrats on your new book! I haven't had a chance to read it yet, but over the years I have read your Susan Sontag, the Day by Day Marilyn, and Dana Andrews. Each was quite good and I enjoyed them all so I know I'll like your Walter Brennan. Were you able to speak with anyone who knew WB? And what struck you the most about Brennan, either in his persona life, or career...favorably or not so favorably. Hello Mr. Rollyson and welcome to the Silver Screen Oasis. 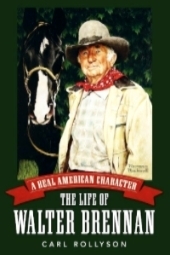 Congratulations on your book about the outstanding character actor Walter Brennan. if any, did he not much care for in the industry? I would guess that more people know the John Ford version of Three Godfathers made with John Wayne. I compare that version to the Brennan-Stone-Morris, and I think Ford's film does not come out well. William Wyler also did a version called "Hell's Heroes," which I liked very much, although it does not have quite the intensity of Boleslavski's approach. Overlooked Brennan films? This Woman is Mine--not a great film but a great Brennan performance that I compare to Charles Laughton's in Mutiny on the Bounty. Nobody Lives Forever with John Garfield, in which Brennan plays an aging con man. Brennan is fantastically good in this film. And I just love Brennan in Curtain Call at Cactus Creek--surely a forgotten film even though it stars Donald O'Connor, Vincent Price, and Gale Storm. Brennan gets to play a takeoff of his Ike Clanton villain's role with a plot similar to The Westerner, except that this time Brennan is smitten not with Lily Langtry but with Eve Arden, at her wise cracking best. It is just a delightful picture that Brennan must have liked because he used it for the premiere of his own theater in Joseph, Oregon. And I have to mention The Princess and the Pirate, a Bob Hope picture, in which Brennan pretends to have the hots for Hope pretending to be a woman. mongoII wrote: Hello Mr. Rollyson and welcome to the Silver Screen Oasis. Congratulations on your book about the outstanding character actor Walter Brennan. In the end, I think Judge Roy Bean was Brennan's favorite role. He loved working with Gary Cooper on that picture and also on several others, including Meet John Doe, Sergeant York, Pride of the Yankees. I would say Cooper was his favorite co-star, although Brennan liked working with John Wayne. They did some early films together before Wayne was a star and also later in Red River and Rio Bravo. Brennan also admired Jimmy Stewart and worked with him in The Far Country. 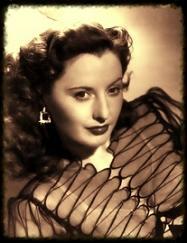 Brennan did not gossip and rarely mentioned actors or actresses he didn't like. But his son Mike tells me that his father found Frances Farmer a bit of a trial to work with in Come and Get It. And later, in the 1950s, there was some bad blood between Brennan and Spencer Tracy--mainly over politics. They would not speak to one another when they were making Bad Day at Black Rock. How nice to hear from a reader of some of my other books! I spoke to several people who knew Walter Brennan. Both his sons are still alive, and I interviewed them many times. I also spoke with several of his grandchildren and friends of his in Joseph, Oregon. 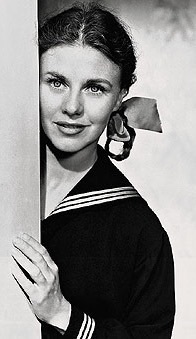 Kathy Nolan, who starred with him in The Real McCoys, gave me a great interview, as did Angie Dickinson (via email). Alas, many of the actors I would liked to have interviewed have died, but some of them left oral histories--like John Ireland. I don't have to like my subjects. They just have to be good subjects. 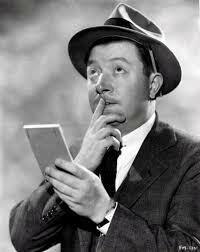 But I did like Walter Brennan, although is politics were nothing like mine. He was genuine. He really liked people, and most actors, regardless of their politics, enjoyed working with him. He did have a feud with John Forsythe about politics when they were doing a television series together, but that was relatively rare because Brennan was such a professional. Carl, do you feel that reviewers of your book understood your efforts to report Walter Brennan's political conservatism as fairly as you could without endorsing his feelings or condemning his bedrock beliefs? Even though my own views are very different, after reading your book, it did not seem that his prejudices and fears were completely unusual for a man of his generation and reflected a POV that existed in Hollywood and outside the movie capital. Additionally, Brennan's support of SAG throughout his career revealed a person who understood the injustices that needed to be corrected to make life more equitable for everyone. Did he see his active support of the actors' union as a contradiction of his other views? Brennan's strong support for the Screen Actors Guild grew out of his own experience of mistreatment on movie sets. He understood actors needed protection. Why he did not see the same as true of other kinds of unions, I don't know, and in fact I'm not sure he did not have some sympathy for union organizers even though he was very conservative. The Associated Press reviewer misunderstood my book, I think. I'm not sure what he wanted me to do. Criticize Brennan? That would seem fruitless. I wanted to explore his life, his views, not to judge them. Outside the biography, sure, Brennan and I would have argued about politics and disagreed. But what point is there in my saying that in the book? I don't hide his politics or excuse them, although the reviewer somehow thought I did. Right from the beginning I show Brennan as a conservative, although he does not start to become outspoken until the 1960s. And in fact I was able to pinpoint the moment he decided to make his politics public. Until 1960, he thought actors should keep their politics private, but he got very upset about issues like prayer in the schools, and civil rights agitation. And as you say, Moira, he was hardly alone in opposing liberal causes. Goldwater lost badly and yet let's not forget he got something like 27 million votes. Thanks for answering so many of our questions so well. What is it like when you finish a biography-- for example, when you finished all the interviews and research and writing the book on Brennan, did you feel 'closer' to understanding the subject, or are there some things that remain shrouded in mystery about the man? Also, since everyone is mentioning their favorite Brennan films-- I have to say mine is Republic's BRIMSTONE. If people thought he was vicious in CLEMENTINE, they ain't seen how truly despicable he can be as the patriarch of a group of cattle rustlers. I bet he had fun making that movie! 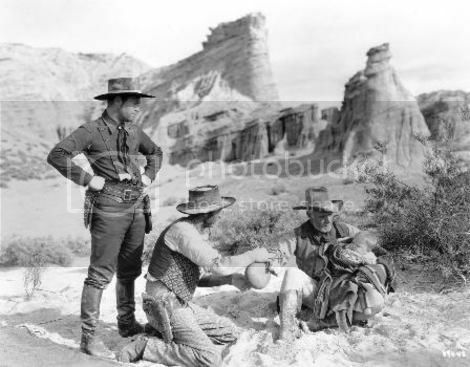 Did you uncover anything interesting about the filming of BRIMSTONE, or any of the other westerns he made at Republic? I certainly feel closer to my subjects by the time I've done the research and writing. Sometimes I am elated because of certain breaks that occured. Starting out, I did not know if the Brennan family would cooperate. And then quite by accident I met someone who put me in touch with a friends of the Brennan family, and that made all the difference. I was also puzzled for a long time about why Brennan was not involved in the anti-Communist clique in Hollywood--with John Wayne and Ward Bond, for example. And then I came across a newspaper clipping in which Brennan stated his conviction that actors should stay out of politics. He changed his mind eventually--in part I think because after The Real McCoys he was no longer an unrecognizable character actor but more of a national institution. He was then ready to go public with his beliefs. Jarrod, you are right about Brimstone. And I can tell Brennan did have fun. He said he especially liked playing mean characters. The roles gave him a lot to do. Brennan did not comment specifically about working at Republic, but I would say it suited him since he often got star billing and Republic was so efficient about its productions. Brennan hated to waste time. He liked television work because there was a lot less waiting around. Thanks so much Carl for your considerate and thorough response to my questions. I'll keep those three titles in mind. And, all the best to you with the book and future projects. It's a pleasure to read the insightful questions and comments here! Thanks for coming back for a second day, Carl. Does your own background as an actor affect your interpretation of a subject's life story--especially since you have a gift for describing an actor's struggle to learn his or her craft? Could you please discuss Walter Brennan's ability to be a voice for outsiders within the films he made? Was he often a "mere mortal" voicing truths that made the central characters uncomfortable yet guiding them as well? Was there a streak of "the professional againster" in his makeup as a person and professional? Did his utilisation of disabilities as part of his characters' memorable tics (especially stuttering and limping, most memorably as "Stumpy" in Rio Bravo) ever have any repercussions for the actor off-screen? Why did Brennan and Ford (both Irish-Americans with New England in their bones) have their conflicts during My Darling Clementine? Thanks Carl for replying to my earlier post. 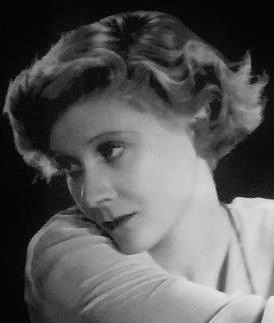 Recently, someone told me about a newer Monroe biography that did not cover any new ground about the actress but instead looked at everything that had been written about her in old newspaper clippings as well as older biographies, then sought to make clarifying points by consensus, per the previous material. I find it to be a slightly different approach. In this case, since you published the first books about Dana Andrews and now Walter Brennan, what do you think your writings contribute...are there chapters you left out where others can pick up the discussion in later writings? Or do you think you filled in most of the gaps? Is there ever a time when you finish a book and say to yourself 'I could actually write a Part Two because there is so much more still untold'...? 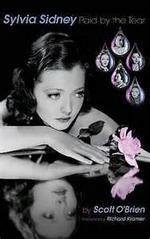 I've revised several of my biographies: Lillian Hellman, Norman Mailer, Rebecca West. I've just completed a revised and updated biography of Susan Sontag that will appear next year. There is always new material or new interpretations coming along, so I'm never surprised to hear about another biography of one of my subjects. There are always gaps. I'll never be able to fill them all, so I'm actually pleased when biographies of my subjects appear. All biographies, in other words, are subject to revision. Even though I have revised some of my own biographies, in general I am inclined to move ahead to the next subject. Carl, we are so grateful to you for taking time out of your busy promotional schedule to share your insights. Your biography of Walter Brennan has given me even more inspiration for appreciating Brennan's talent and contributions to classic film, and has made we want to revisit many of the performances that you have so carefully described both on and off the screen in such detailed terms. I am often left wondering once I read such a thorough rendering of a personality what questions would you ask Walter Brennan if you had the chance? Thanks again for coming to see us!